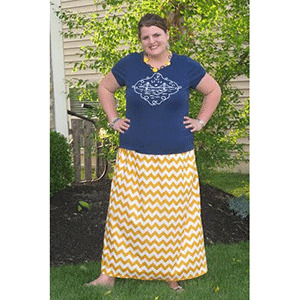 Want to sew yourself easy skirts that you can make all year long? 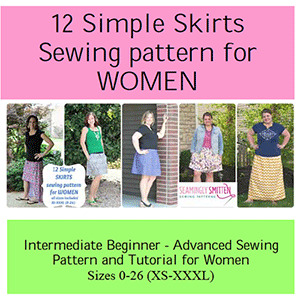 Then the 12 Simple Skirts Sewing Pattern is for YOU! 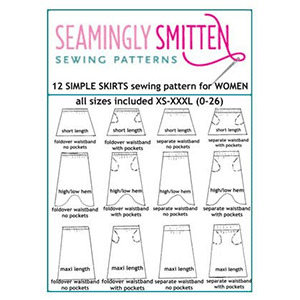 This pattern includes 12 different skirt options!! 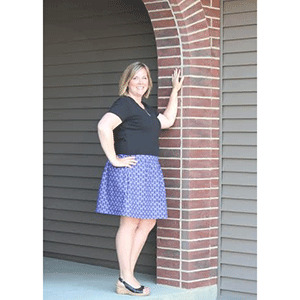 It includes 3 skirt styles (short skirt, high/low skirt or maxi skirt), 2 waistband options (basic fold over waist or separate waistband) and can be made with or without pockets! It also comes in three lengths (petite, regular or tall). Suggested fabrics are cotton lycra, specialty woven, and cotton jersey.